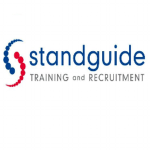 Standguide has been working across the North West since 1990 and developed a deep understanding of the welfare to work industry. We have recently extended our delivery areas and now also host provisions across Birmingham and Solihull, and are soon to start new contracts further across the Midlands and West Yorkshire. We deliver a range of employability and skills contracts to benefit a diverse range of customers, supporting them to overcome barriers, find sustainable employment, and make truly beneficial changes to their lives. We have delivery locations throughout the regions where we provide a range of training, job search, motivational and work experience programmes to improve our customers' key, basic and workplace skills and ultimately help them find work. Our experience and professionalism means that we are continually evolving to improve our levels of service whilst responding to the needs of employers. Our work with employers involves a FREE staffing solution service where we can help meet their staffing needs from our customer base.